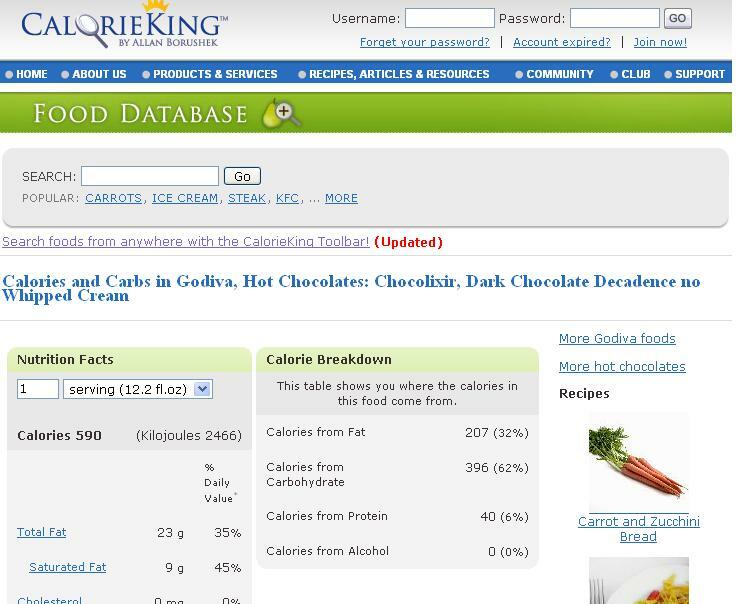 If you're looking for a one-stop shop for all your nutritional information needs, CalorieKing is the answer. It has more than 50,000 American generic and brand name foods, including information for over 260 fast-food chains, in its database. 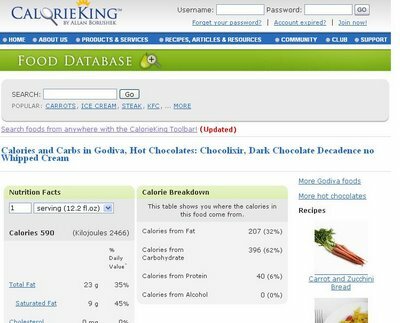 So, if you want to figure out how much sugar is in a no whip, light Frappuccino, or how much fat is in a no whip, dark chocolate Chocolixir, look no further.